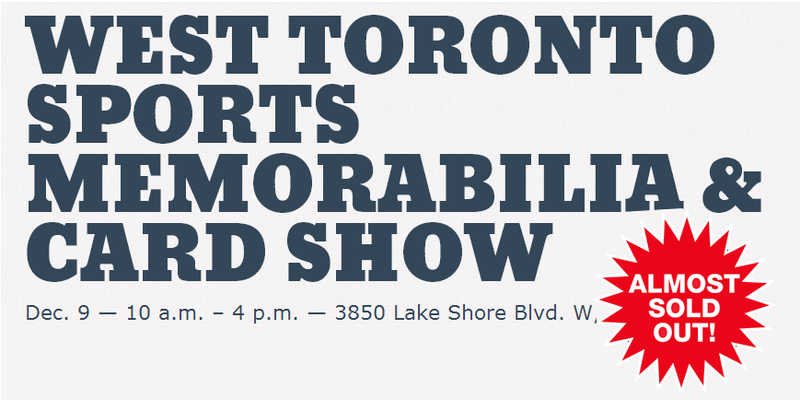 The West Toronto Sports Memorabilia & Card Show, on Dec. 9, 2012 at 3850 Lake Shore Blvd. W, is near capacity for vendor spaces! Cash in on the holiday rush! ← On-site KSA Grading at the West TO Card Show!